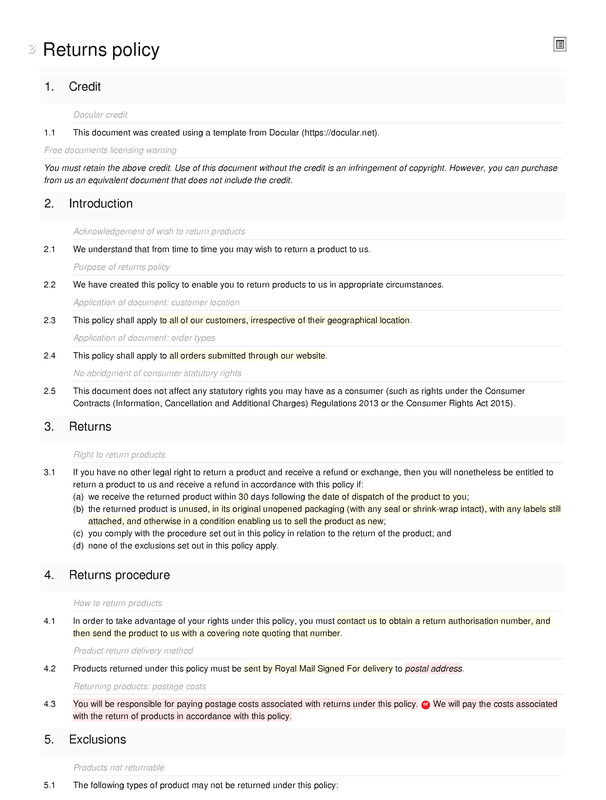 If you are selling goods online, and want to offer rights of return that go beyond those mandated by (English) law, then you can do so using this returns policy document. This free returns policy should be used in conjunction with one of our T&Cs of sale via a website documents. It can be used with the B2B, B2C or mixed version. Mandatory rights of return are covered in the T&CS. 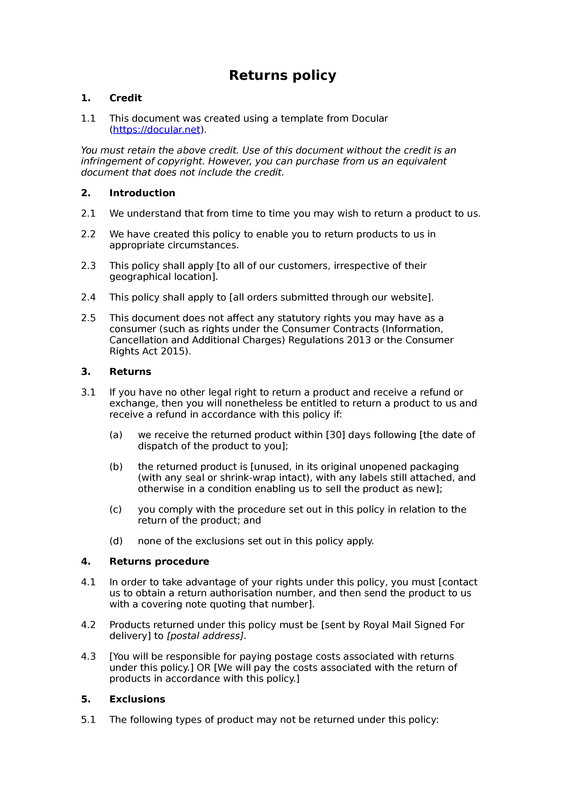 If you want to use this document without the textual attribution / credit, then you should purchase our regular returns policy template, which is otherwise identical. Introduction: acknowledgement of wish to return products; purpose of returns policy; application of document: customer location; application of document: order types; no abridgment of consumer statutory rights. Returns: right to return products. Returns procedure: how to return products; product return delivery method; returning products: postage costs. Refunds: refund of price; refund of delivery charges; refund of return costs; method of refunding monies; period for issue of refund for returned product. Improper returns: return of product in contravention of document. Our details: website operator name; place of business; contact information.